Weekend Roundup, PAX Weekend! : Squad – Communicate. Coordinate. Conquer. 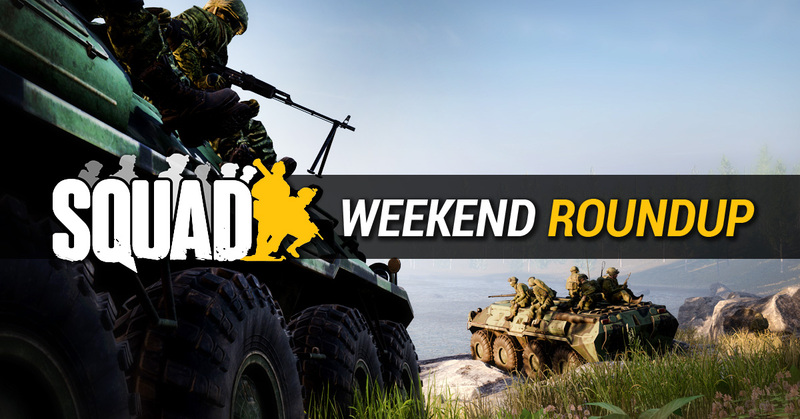 We’re back with another Weekend Roundup! The big news is, of course, PAX EAST! The Offworld Industries team is showing off Squad and Post Scriptum in Booth 10126 all weekend! Be sure to drop by and say, “Howdy!” if you’re in Boston this weekend. Make sure you send us your pictures! For those of us not lucky enough to be PAXing all weekend, there’s plenty of Squad to go around, including a new Troopers Mod server. The Swiss Stage of the Squad World Championship has come to a close! Congratulations to ProG for coming 1st, and SQD and uC. for coming 2nd and 3rd respectively. Only FAOB and GRSW will have a match next week giving the other teams time to prepare for what will surely be an epic battle! Be sure to join the SWC Discord to keep track of the action. New server alert! You can now play Troopers Mod on the Avalon Troopers server. Enlist now and do your part!